Fried rice is my go-to meal whenever I want to freshen up my leftover rice and turn it into something delicious and healthy. 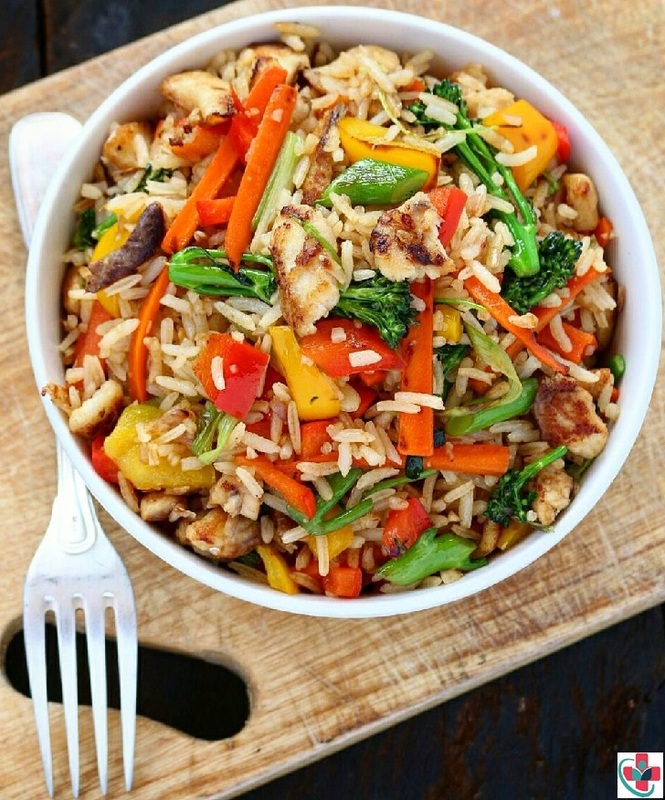 Fried rice is versatile and to me, it has no recipe, uses the veggies and meats you have on hand and come up with something delicious and unique to you. I had some leftover fish in my freezer it wasn’t sizable enough to cook up a solid meal from it, another reason why I love fried rice is that the little protein you have goes a long way in feeding a crowd. I used leftover white rice that I had in my refrigerator, flavors go for brown rice for a healthier version. Always use cold rice for anything fried rice, leftover rice works best, if preparing rice for frying, always set it in the refrigerator to cool before frying. This is a simple recipe and the hardest bit was in chopping up my vegetables and fillets. I used Tilapia fillets however any white fish will work. Tilapia has a neutral delicate flavor and you can marinate it however you please for use in this recipe. A ginger, garlic and soy marinade is perfect for this recipe if time permits. Chop your vegetables into equal sizable pieces. Your green onions, separate the Woody stalks from the leafy greens as this have different cooking times. My broccoli florets also had Woody stems attached to them so I separated the stems from the flowers as the stems take longer to cook. On a large wok, heat up two tablespoons vegetable oil, season your fish with salt & pepper and fry it until caramelized & fully cooked about 3 to 4 minutes. Take this off the heat. Throw in your red onions, carrots and the broccoli stems as this will take longer to cook. Toss for 3 minutes over high heat. Mix in your fish and toss for a minute. Toss and cook over high heat for 2-3 minutes, add in your cold rice. Fry the rice until just about crisp about 3-4 minutes. Add your green onions and soy sauce at the very last toss for a minute to stain the rice and take it off the heat. Season with sesame oil for a nutty finish and serve hot. This is optional but a wonderful way to introduce an Asian kick into your meal.